Pretty much anything Kathleen Hanna does musically will get mentioned here, and when she does a cover song, it will definitely get mentioned. For the upcoming soundtrack for Maggie's Plan, Kathleen Hanna covers Springsteen's iconic "Dancing in the Dark." First of all, who knew soundtrack albums were still a thing? Second, this cover is interesting. Since Hanna makes a cameo in the film, and since she's joined by actor Tommy Buck who also appears in the film, I'm pretty sure this is a 100% Kathleen Hanna cover. Listening to the track, it seems more like it's their characters that are performing the song. Hanna doesn't really sound like she normally does when she sings, and Buck's voice seems fairly affected. Plus, it ends with a group of people singing along and clapping at the end. But, hey, it's still Kathleen Hanna singing Springsteen! You can listen to Kathleen Hanna and Tom Buck's version of "Dancing in the Dark" below. The Magie's Plan soundtrack is due out May 20. 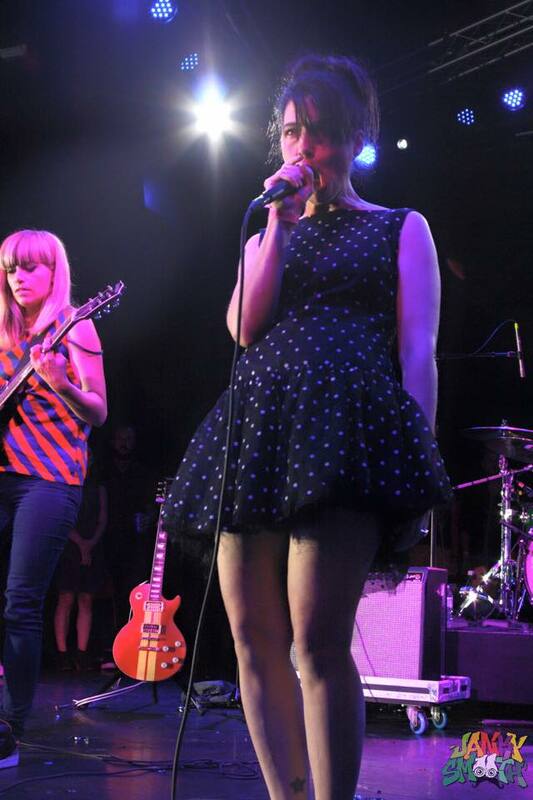 For more information on Hanna's current band The Julie Ruin, check out their website.